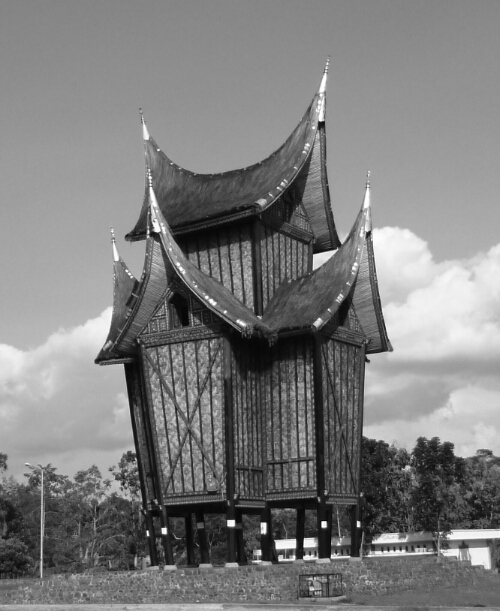 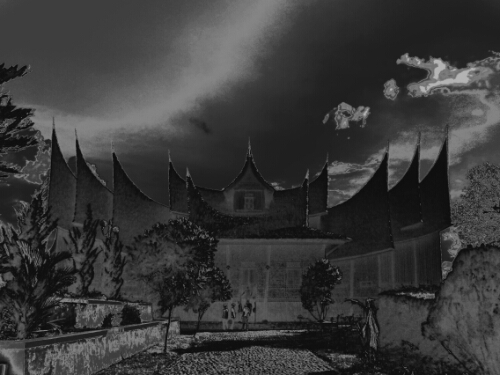 Definately angular…amazing architecture to be found in west Sumatra on the way to Bukit Tinggi. 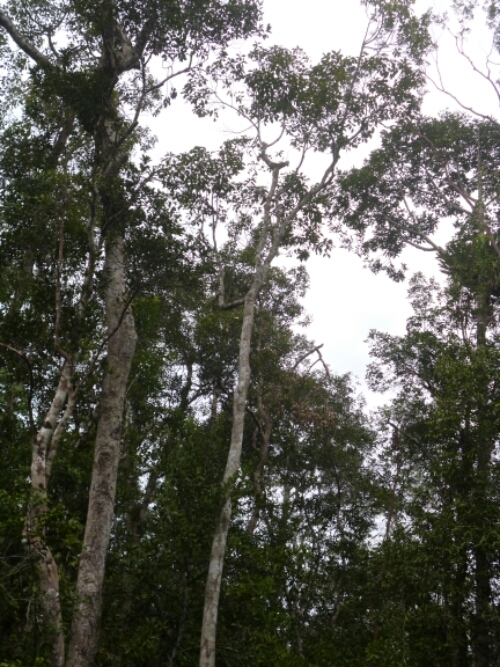 The orangutans at camp leakey could hear the calls to the table, ringing through the forest tops……..
They’re descent was something to behold……. 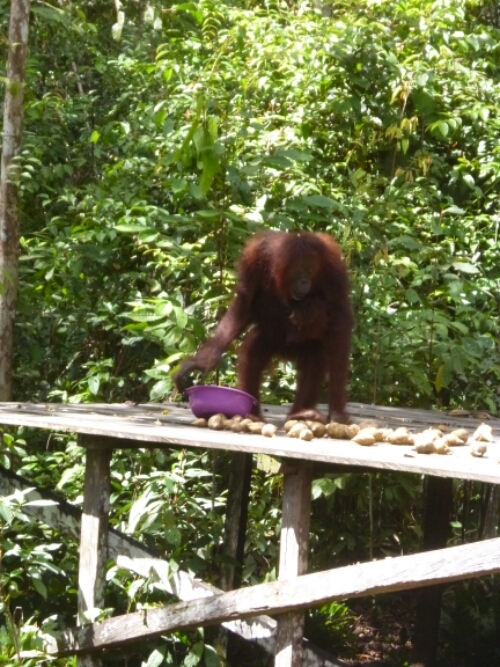 And they would descend fast and gracefully to land on the table top to feast on ubi ( sweet potato), bananas and dollops of milk if they were lucky.